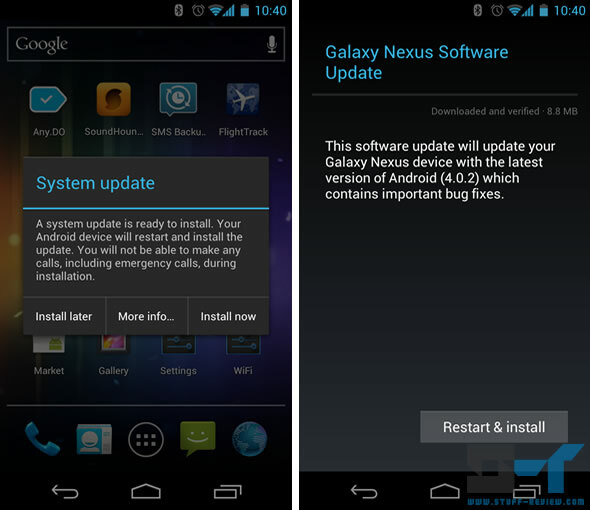 An over-the-air (OTA) update to Android 4.0.2 has been rolling out to the GSM/HSPA+ version of the Galaxy Nexus — the Verizon LTE Galaxy Nexus is already at version 4.0.2. We’ve been testing it out on our device for the past 48 hours and here are the initial results. 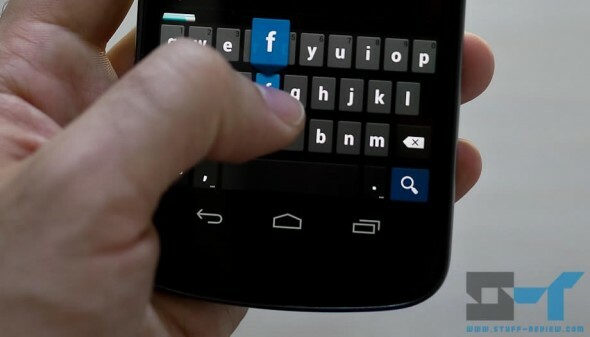 As we mentioned in our full-length review of the Galaxy Nexus, it has had a buggy launch and some of the well published bugs have been plaguing my device as well. Mind you this is the second Galaxy Nexus I’m burning through, since the first one had an unfortunate accident. Specifically, I’ve had the occasional random restart, the Wi-Fi hotspot won’t work with my MacBook under MacOS X and while in a call, after pressing the speaker button the other person can’t hear me. You could also consider the screen’s yellow tint as something of an annoyance. I’ve experience a couple of occasional minor issues, like hangs on 3G data connectivity and a confused volume rocker tht would change media instead of the ringtone volume. Obviously, 48 hours isn’t enough time to get to any conclussions, but the Wi-Fi hotspot to MacOS and speakerphone muting microphone while on call issues remain. The screen of course retains its lovely warmer white balance point. I haven’t had any restarts yet. The only noticeable improvement is better response on data transfers, i.e. any data requests like accessing a website don’t hang but get through faster. I also haven’t had the volume rocker button issue again yet. Other users are reporting slightly better battery life, but I can’t opine on that based on two days’ use. Others are also reporting that the device is laggy under 4.0.2, but I haven’t experienced any lag. So what have you been seeing with your device? Fixed an incorrect notification that “data wasdisconnected due to roaming”. Wi-Fi now automatically reconnects whenreturning to a known Access Point. Improvements to special visual effects feature whenusing front-facing camcorder.